Dylan Thomas 100 is an international celebration of activity to celebrate 100 year since Dylan Thomas’ birth in 2014. The Welsh Government is leading co-ordination in partnership with key Welsh local authorities and other organisations to celebrate the life and works of the great writer with events across Wales, in the UK and throughout the World. The initiative has a number of high profile ambassadors with Royal Patron HRH the Prince of Wales and Honorary Patron Hannah Ellis, Dylan Thomas’ grand-daughter. 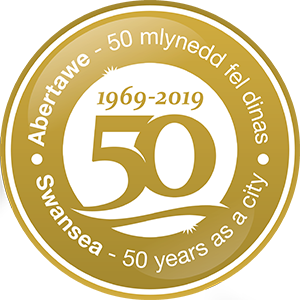 As the international focal point for Dylan fans and scholars, the Centre will present an exciting year-round festival celebrating Swansea’s most famous son, and showcasing the best in contemporary writing. We’ll commission new work, exhibit Dylan Thomas’ Notebooks, which will return to Swansea for the first time, and develop and expand our Dylan Thomas Exhibition. NLW will showcase its recently compiled archive of Dylan Thomas material in a major exhibition which promises new insights and discoveries. The Museum will be announcing the curtain raiser for the Dylan Thomas centenary in collaboration with a leading UK artist. This year’s annual festival will have a Wales premiere of A Dylan Thomas Trilogy by New York composer John Corigliano and a Festival commission from Swansea-born international composer Karl Jenkins entitled Llareggub. will round off the celebration of the centenary year with a new production of A Child’s Christmas in Wales, at the Swansea Grand Theatre, followed by a Wales wide tour.